Your looks are your own unique asset. Feel rich in a brand new way with skin that looks more flawlessly radiant and feels silky smooth. 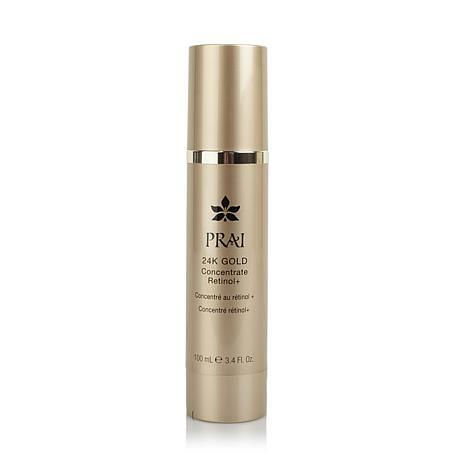 Luxury ingredients like 24K gold and retinol help diminish the look of lines and wrinkles, boost moisture and lessen the visible signs of skin aging. Love your skin, love yourself with the richness of Retinol Plus. Marimoist is a trademark of Biocogent, Inc.
NuLastic is a registered trademark of Alzo International Inc.
Water (Aqua), Glycerin, Butylene Glycol, Isodecyl Isononanoate, Dimethicone, Tetrahydroxypropyl Ethylenediamine, Caprylic/Capric Triglyceride, Chondrus Crispus Extract (Carrageenan), Acrylates/C10-30 Alkyl Acrylate Crosspolymer, PEG-10 Dimethicone, Hydroxyethylcellulose, Sodium Hyaluronate, Caprylyl Glycol, Mica, Gold, C4-24 Alkyl Dimethicone/Divinyldimethicone Crosspolymer, Retinol, Centella Asiatica Extract, Polydiethyleneglycol Adipate/IPDI Copolymer, Cyclodextrin, Zingiber Cassumunar Root Oil, Disodium EDTA, Tropolone, 1, 2-Hexanediol, Methylisothiazolinone, Fragrance (Parfum), Amyl Cinnamal, Benzyl Salicylate, Citronellol, Hexyl Cinnamal, Butylphenyl Methylpropional, Limonene, alpha-Isomethyl Ionone, Iron Oxides (CI 77491, CI 77492, CI 77499), Titanium Dioxide (CI 77891). Works very well! 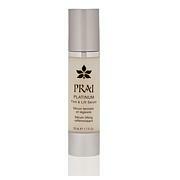 If you have sensitive skin, I don't, do this one night and Prai Triple Matrixyl gemsone the other. They work beautifully together or separate. I layer, using Matrixyl only at night! This is my favorite product so far! I wish I had done before photos to show how much improvement there is. I just ordered it again and will continue to use it. Not irritating at all. I have combination acne prone skin prone to redness and fine lines. Prior to starting this product my skin was all of the above, dull and dehydrated. This product was the only change I made in my routine and my skin became luminous, hydrated, my tone evened and my acne cleared. Not everyone may experience the same results but for me this was a skincare miracle in a bottle. Prior to this I had tried verious lotions and potions with little to no effect. Would highly recommend to anyone with the above issues. I totally love this product! It keeps my skin soft, which in our climate can be tough.